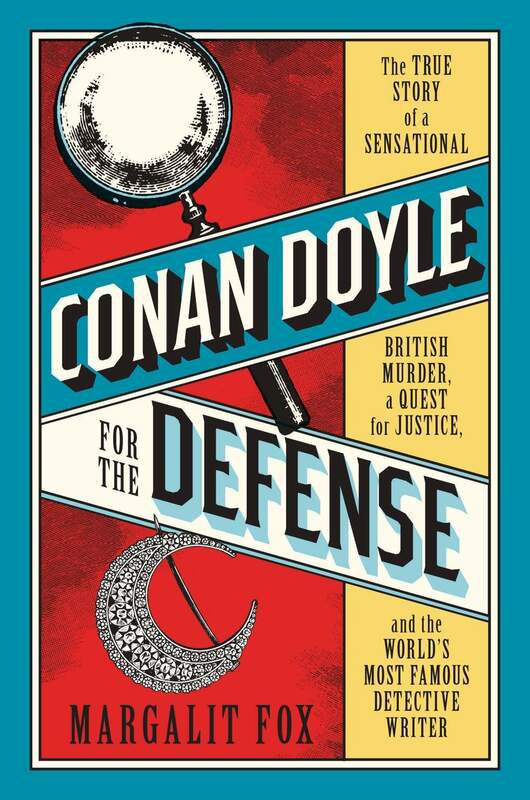 Conan Doyle for the Defense: The True Story of a Sensational British Murder, a Quest for Justice, and the World’s Most Famous Detective Writer. Even now, it is said, people still send letters to Sherlock Holmes, asking for the great detective’s help in solving a crime or righting an injustice. In the past, some of these requests would be addressed to his creator, Arthur Conan Doyle, who was frequently thought to be the “real” Holmes. Chivalric and public-spirited to the core, Conan Doyle – whose gravestone is tellingly engraved “Steel true, blade straight”– championed many causes, most notably bringing public attention to the wrongful imprisonment of two men guilty of nothing except being outsiders in early 20th century Britain. The peculiar case of George Edalji – slightly fictionalized in Julian Barnes’ excellent novel Arthur & George – focused on a purblind young lawyer of South Asian ancestry accused of mutilating farm animals. His conviction, followed by a sentence of seven years of penal servitude, resulted solely from racial prejudice. Through Conan Doyle’s efforts, Edalji was freed and even invited to attend the writer’s wedding. The case of Oscar Slater involves a far graver miscarriage of justice. In her artful and compelling Conan Doyle for the Defense, Margalit Fox – who was until recently the senior obituary writer for the New York Times – emphasizes that it too revolves around the period’s xenophobia, coupled with anti-Semitism. Just as today’s Muslims and African Americans suffer from racial profiling, so Oscar Slater – a dandyish German Jew and gambler, who kept an apparent prostitute as a mistress – was tailor-made for any crime the Glasgow police wanted to pin on him. Why not the beating death of the elderly Marion Gilchrist? In 1908, the wealthy Gilchrist kept lots of expensive jewelry in her home but feared robbery so much that she installed three locks on the entrance door to her apartments. Nonetheless, one afternoon, the family living below heard loud crashing sounds above, then three knocks. The latter sent Arthur Adams rushing upstairs because this was an agreed-upon signal if his neighbor were ever in trouble. Adams reached the locked door, pounded on it, got no reply. In short order, though, Gilchrist’s maid returned from her shopping – she had only been away for 10 minutes – and used her key to open the door. After she did so, a man inside calmly walked past her and Adams, then hurried down into the street. Horror awaited: Gilchrist’s head had been violently smashed into bloody pulp. Strangely enough, none of the valuables and cash in plain sight were taken; only one diamond brooch was missing. Soon after the investigation began in earnest, the police learned that Slater – who had been on their radar for some time – was trying to sell a redemption ticket for a pawned diamond brooch. He immediately, almost reflexively, emerged as the murder’s chief, indeed only, suspect. This didn’t change even when the pawned brooch turned out to be Slater’s own; it had never belonged to Gilchrist. No matter. Glasgow police knew a killer when they saw one. Why, just look at him ... another of those damn foreigners, an immigrant Jew who could hardly speak recognizable English. No steady employment, either, plus it was rumored that Slater got his money from pimping. Murder would mean nothing to someone like him. As it happened, the unfortunate Slater – on his way to a business opportunity in California – sailed to America almost immediately after the Gilchrist murder. Aha! He was really fleeing from justice. When the Lusitania landed in New York, the “fugitive” was arrested, then extradited to Scotland. Slater’s defense attorney then proved well-meaning but inept; the judge regarded the accused with undisguised contempt; and the police and prosecution apparently coerced witnesses into changing their cautiously tentative identifications of Slater into absolutely positive ones. He was sentenced to be hanged, but this was later commuted to life imprisonment with hard labor. The whole affair was utterly shameful. Fox persuasively contends that the police didn’t so much identify Gilchrist’s murderer as “construct” him. The pseudoscience of the day classified the facial and physical characteristics of criminal types – and Lord help anyone who happened to be swarthy or low-browed or Jewish. Once Conan Doyle committed to re-examining the supposed evidence against Slater, he used all the analytic powers of a Sherlock Holmes to blast holes in the crown’s case. But by this time, the establishment had closed ranks, staunchly refusing to reconsider the verdict despite new evidence and revised testimony. Only after Slater had served nearly 18½ years was his conviction overturned on what amounted to a judicial technicality. He died in 1948 at age 76. Notwithstanding Conan Doyle’s admirable determination to see justice done, Fox notes that even he disapproved of Slater the man. So she aims to rehabilitate Slater’s character by quoting extensively from his tender correspondence with his mother and sisters in Germany. She also suggests that prison might have left Slater slightly unhinged, which may explain why he stiffed Conan Doyle for his legal fees, despite having received a considerable financial reparation from the government. Fox’s book isn’t the first devoted to the Slater case – she quotes frequently from Peter Hunt’s account and William Roughead’s volume in the Notable British Trials series – but it is written with authority and panache, though I could have done without the melodramatic foreshadowing. To enlarge her scope, Fox allocates several chapters to Conan Doyle’s life, the early history of detective fiction, the origins of Sherlock Holmes and contemporary theories of criminology. Still, she always retells even familiar stories in clever ways, and her narrative momentum never flags. As a result, Conan Doyle for the Defense will captivate almost any reader while being pure catnip for the devotee of true-crime writing.